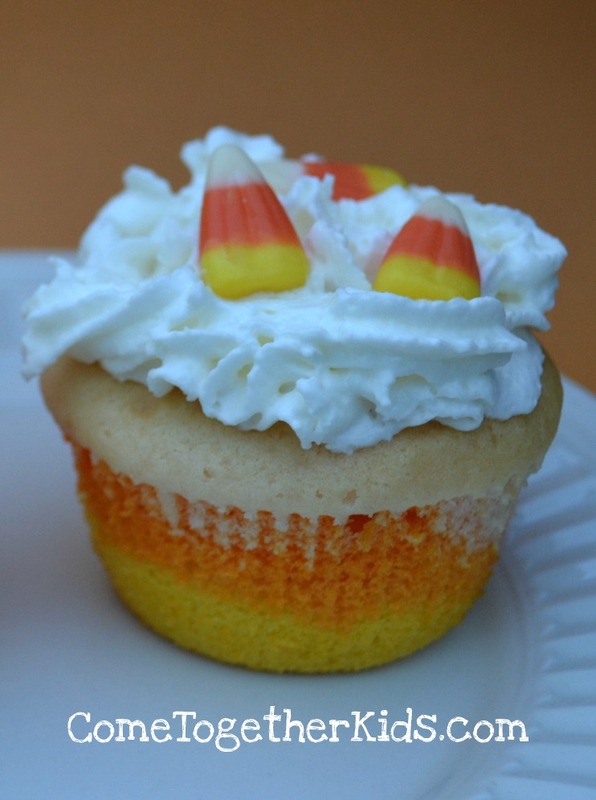 Here's a really cute Halloween version of the Rainbow Cupcakes we made in the spring. 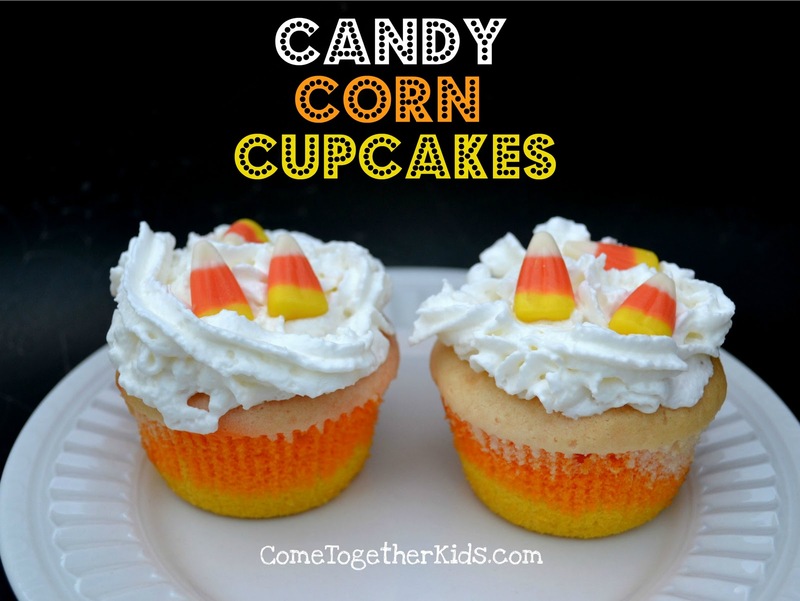 They're really simple to make and don't require any kind of fancy baking skills. Plus, because they only have three colors instead of a full rainbow, they're not nearly as time consuming as the rainbow ones. 1. Make up a batch of regular white cake batter using your favorite recipe (or your favorite box of Betty Crocker white cake mix!). Divide the batter evenly into three bowls. That's it! Some super cute cupcakes that are super easy to make! 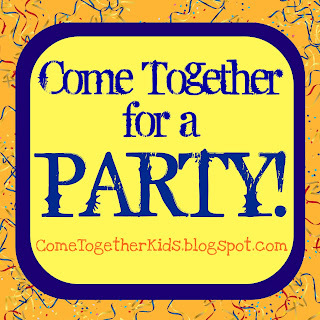 I'm thrilled to have a guest host here today at Come Together Kids. Because I didn't start this blog until my kids were a bit older, I haven't shared too many ideas geared more for the little ones. It's not that I didn't do crafts and activities with my kids when they were younger, I was just way too exhausted and overwhelmed to even think about sharing them on a blog! Well, that's why I'm so excited to introduce you to Mess for Less. Like me, Vicky has three children and likes to do inexpensive, yet fun, activities with her family. 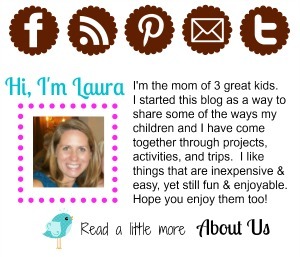 However, she blogs about those fun activities while having three-year old TWINS and a toddler! I know! Amazing, isn't it? Hi Come Together Kids readers! 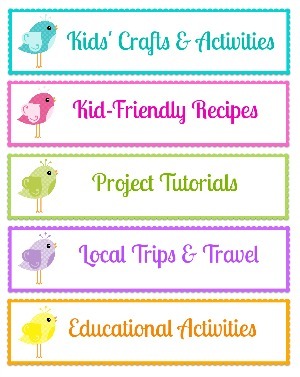 I am Vicky from Mess For Less, a blog of kids crafts and activities. Laura asked if I would share a project with you all and I am so excited to be here! I have 3 little ones (three year old twins and a twenty month old) and was a teacher before having kids. I've been lucky to have had lots of great experiences while teaching, and I hope to use some of that inspiration to help my children grow and learn. I am all about fun, hands-on activities that can be done on a budget. Most of my projects can be done with items you already have at home. 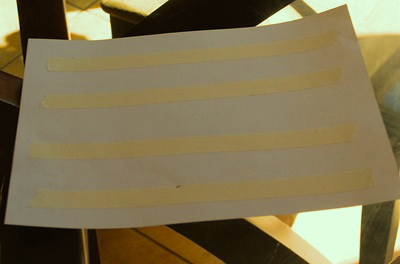 The project I am going to share with you is one I re-purposed from my teaching days called "Watercolor Tape Resist". Years ago, when I did this project with elementary-aged kids, I used blue painter's tape. I would recommend this to you. I didn't have any blue painters tape the day I wanted to do this, so I improvised and used masking tape. I figured maybe it would stick a little more but it wouldn't be too bad. It stuck a lot! But it wasn't too bad. If you plan on using these as art, you would want to use the painter's tape for sure. But for my purposes, the masking tape worked, though it tore the top layer off of some of the paper. Supplies you will need: white paper (I just used copy paper), tape, watercolor paints, brush and water. 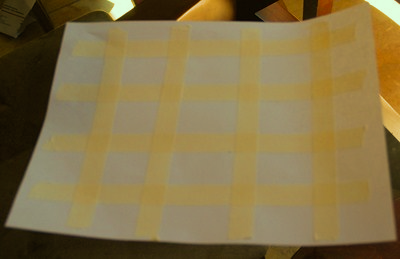 Before the activity, you will want to use your tape to make whatever shapes or designs you wish on the paper. I started out with a triangle and square and then moved on to some lines, and finally my favorite, the checkerboard pattern. Don't worry about being too exact with any of these. The end result will be cool no matter how straight the lines or perfect the shape. I promise! I gave the kids the taped paper and some watercolors and encouraged them to to paint over the tape. I tried to explain that when the paint dried we would peel the tape off and see the design underneath, but I am not sure if the girls got that at all. They just had fun in the whole process of painting on the tape. A little background for Come Together Kids readers: my twins are total opposites. "A" is the more of a follow the rules type while "B" is a free spirit who likes to do her own thing. As an example, here is "A" carefully painting over her shapes. "B" had lots of fun painting her shapes. So much fun that she did not want to stop after she was done. All you can do with "B" is try and encourage her. If she senses that you do not want her to do something then she will dig in her heels and do it more. Can any of you relate? Anyway, I normally never want to shut down my kid's creativity, but "B" kept on painting the same spot on the paper over and over again and I knew that soon a hole would form in the paper. I asked her if she wanted to paint a new paper but she was adamant and kept working on her shapes. If I have learned anything in my three years as "B's" mom it's that sometimes it's better to let her do her own thing in her own time. After a little longer, she was done painting her shapes. Here are the results, holes and all. I love how you can see the girls' different approaches to art (and possibly life!) in their work. 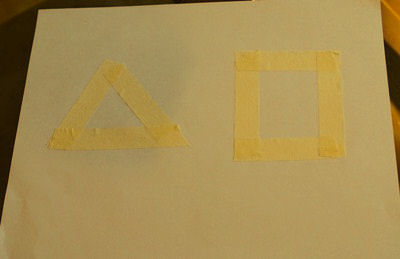 As they painted their tape lines, you can see that "A" was careful to paint her entire paper while "B" was just interested in painting right over the tape. "A" working on her checkerboard pattern. I just love the finished "tape resist" artwork! I mentioned earlier that it was tricky to get the regular masking tape off in spots and I would use painter's tape in the future. You can't see it in the photos, but in a couple of spots a layer of paper was taken off with the tape. But you live and learn right? I am going to have so much fun with this in the future. Think of this project as a jumping off point. There are so many possibilities about what you can do with this technique. You can change it up in many ways depending on the age of the child. I have seen people do their child's name in tape so when they peeled it off they had a pretty name painting. You can do various shapes, letters, numbers, and patterns depending on what you are teaching and learning. Experiment! You are only limited by your imagination. And your lack of painter's tape. If you have liked what you've read here, I hope you will come visit us at Mess For Less for more ideas. We are really friendly and we don't bite. We'll, OK, my twenty month old sometimes bites. But only if you try and take her toys away from her. You wouldn't do that would you? 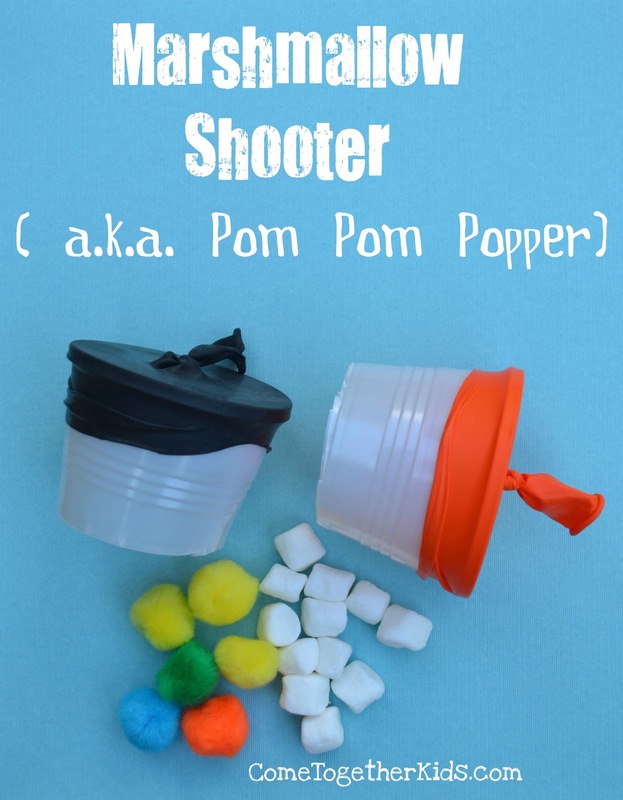 Thanks, so much for sharing this fun activity, Vicky! I'm inspired to do something similar with my kids soon. Today, my "baby" turned 6! For a few years now, on their "real" birthdays (their parties are often several days later), my kids have enjoyed a special Birthday Pancake to start their day. Made in the shape of the number of their new age decorated with a bit of whipped cream and sprinkles, it's a simple little tradition that they just love. 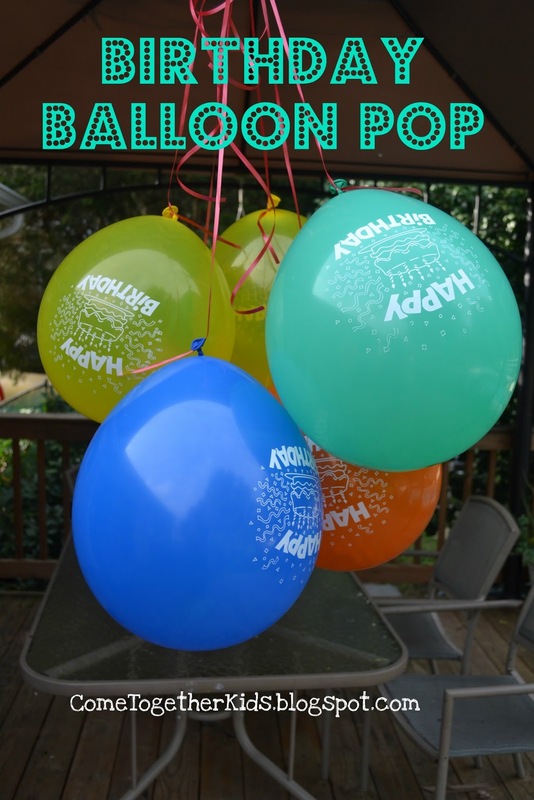 This year, I decided to add a new little activity to our birthday traditions ~ a Birthday Balloon Pop! I came across the idea a few months ago at Increasingly Domestic and knew my kids would love it. Well, boy, was it a hit today!! but they're hiding a special surprise! In each of the six balloons, is a dollar bill! float down to the ground. as she gathered up her birthday loot! Thanks so much, Amy at Increasingly Domestic, for this awesome idea! than with a good party! as long as it relates to families and kids. 1. 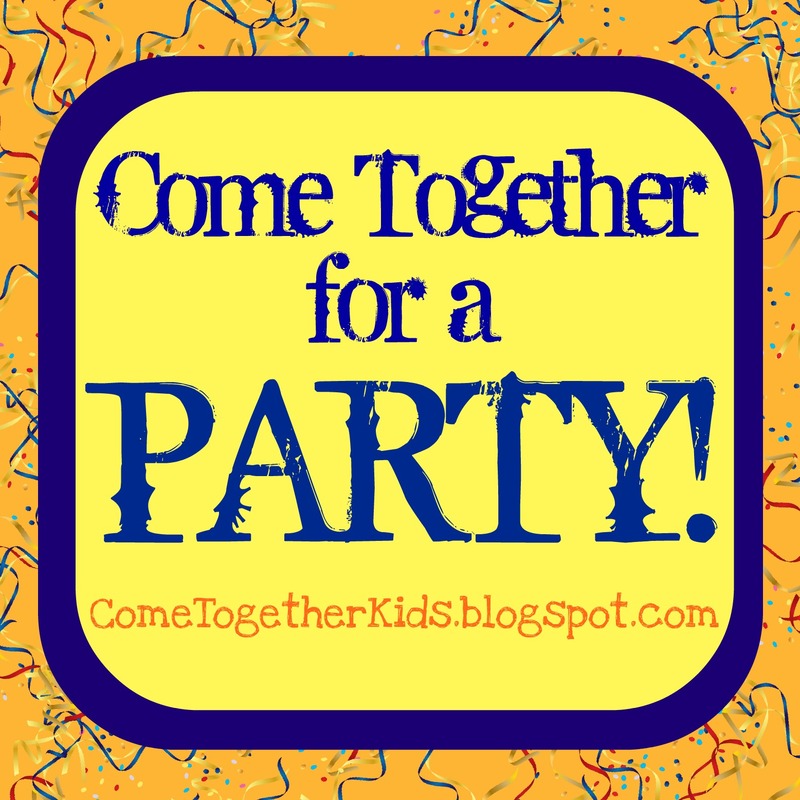 Please link to your specific blog post relating to PARTIES ~ themes, foods, activities or decorations. 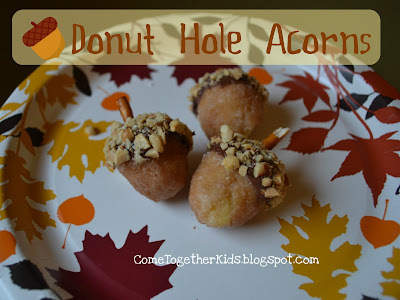 To celebrate the First Day of Fall today and inspired by this cute idea at Family Fun, the kids and I made some super cute acorn treats out of donut holes. They were really easy to make and the kids loved helping. 3. Put them on a cute plate and enjoy! *NOTE* ~ We used the boxed glazed donut holes, which, although delicious, had the tendency to crumble a bit when we were dipping them. When I do it again, I may use some "sturdier" donuts.